Music, food, arts, crafts, theatre, cycling and walking, agricultural, steam and oak fairs…. JANUARY and February are tough months without a little something to look forward to. A night away, with a good meal, fits the bill (we suggest Shaftesbury) – but it’s nice to have a good experience, something to make you smile until March nuzzles into view. How about a peek behind the scenes in Stourhead House and a walk through the deserted gardens with your dog? All possible, and only in January and February – read on. Or perhaps you’d like to learn something about, say, galanthophiles (lovers of snowdrops)? You’ve come to the right place – Shaftesbury’s snowdrop season in February is the biggest event of its type in the country. Or you could learn what a wassail is in January, and congratulate yourself with a Dorset cider, or raise to glass to Thomas Hardy, visit his birthplace and read up on the author on the anniversary of his death (Jan 13). Perhaps you’d like to get active with a 20-mile food and drink cycle ride of North Dorset (we’ve running options too), or simply enjoy Britain’s favourite view from Gold Hill and have it all to yourself…. We’ll see you soon. 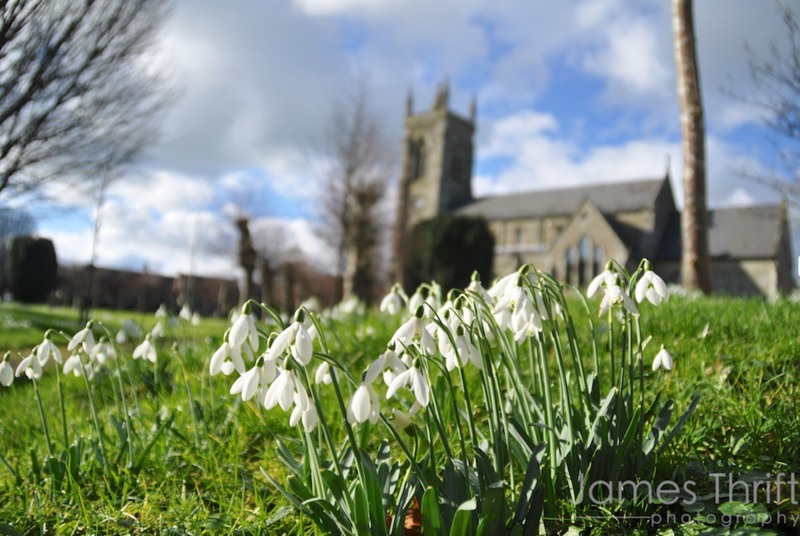 Shaftesbury Snowdrops is a project that aspired to create Britain’s first ‘Snowdrop Town’ – and it has succeeded. The project began in 2012, since when more than 200,000 snowdrops have been planted. NOT many people know this. 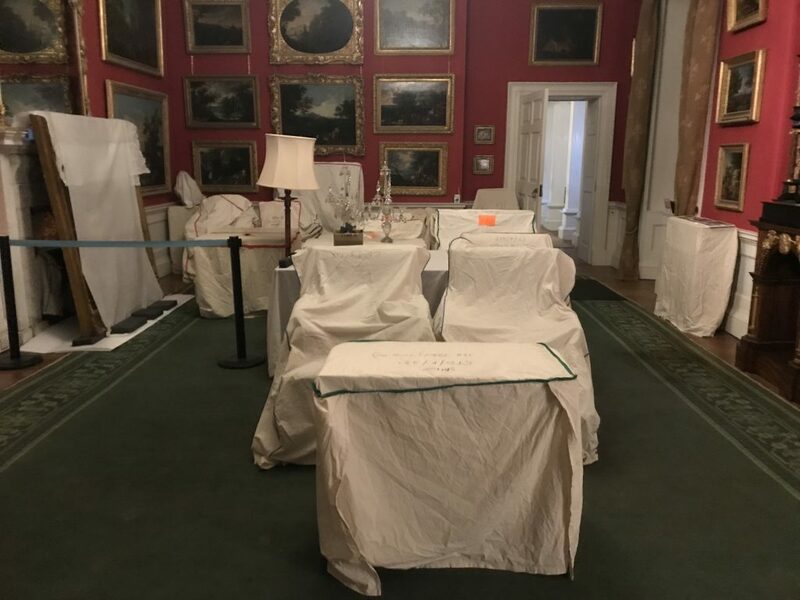 Every winter, when Stourhead House is closed to the public, the volunteers run special tours into the back passages of the house while it is being cleaned and the conservators move in to do their work. The tours are free (although you have to pay the £17.50 admission to the house) and provide a fascinating insight into the colossal work that goes on just to keep the house going and its contents preserved. Today is the first of 44 days when the Behind Closed Doors tours operate over the five floors of the house, including the servants’ quarters in the attic and the below ground storerooms. Three tours run on most days through to March 8. 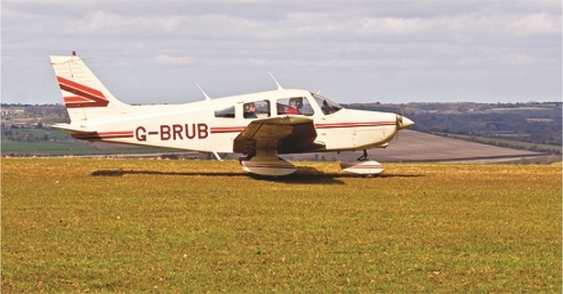 Booking is essential by calling 01747 841152 and groups are usually up to 15 for each tour. 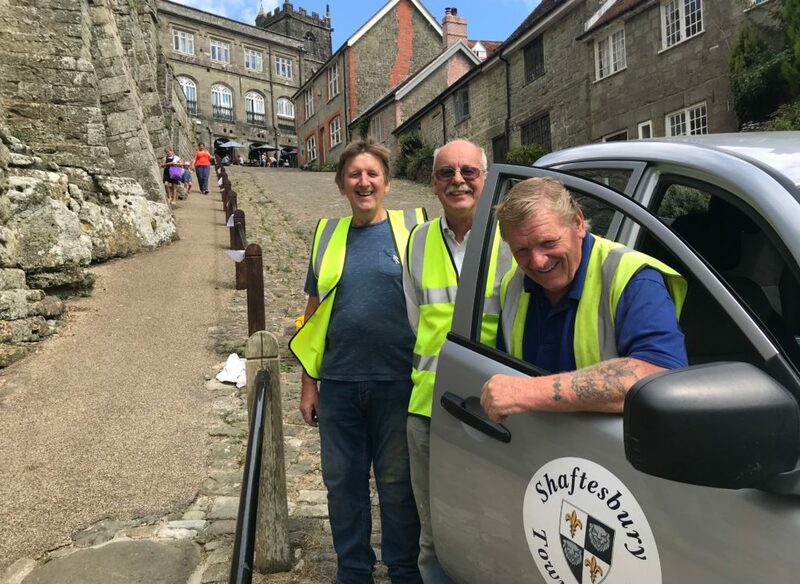 Shaftesbury Tourism accompanied four members of the British Guild of Travel Writers on a visit last year, and this is what we found…. Pic: The Botanical Candle Co. But if you can’t get into town, or perhaps have moved away and would like a seasonal reminder of the auld home, then shopping online is the way to browse for North Dorset gifts and treats. 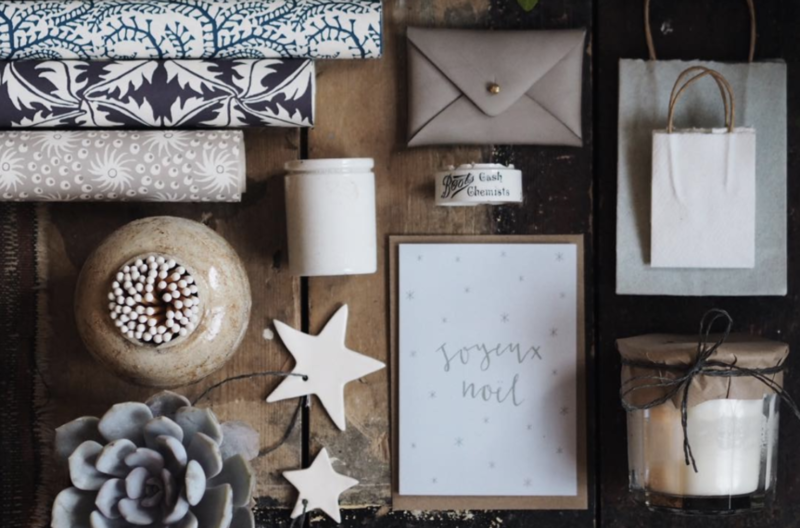 Many of the area’s retailers have now an online presence, and many more will follow – perfect for North Dorset ‘expats,’ and for those living here who’d like to send a gift to friends and family further afield. All the retailers mentioned here have an online shop, so fill your boots with orders for this Christmas and support your excellent Shaftesbury and surrounding area retailers. Happy Christmas! If you are a producer selling North Dorset-related Christmas gifts or food and drink, and have an online shop – do let us know! Leave a comment with a brief description of your product and the website. 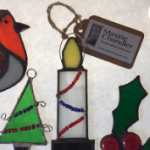 Maxine exhibits her leaded glass artwork at the Cygnet Gallery in Shaftesbury – a great source for Christmas presents. She has 10 years’ experience working with glass, and produces all her work from her dedicated studio in Marnhull, including freestanding spectrum glass panels for the garden. Visit the gallery, and shop online for glass crazy birds and decorations, and a range of cards. The Christmas glass collection includes an angel, candle, holly, robin and tree decorations: a great addition to your Christmas tree. It retails at £35. 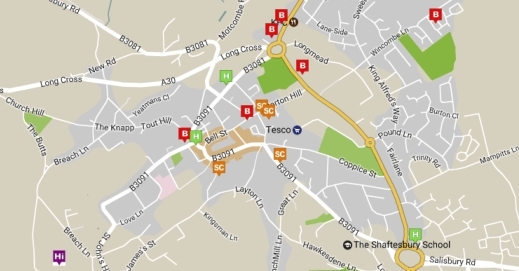 The second-highest market town in England, has the biggest Christmas Street Fair in Dorset (on December 16) and is the epicentre of so many seasonal events. And sister town Gillingham – just down the hill and on the mainline train line between London and Exeter – is also laying on seasonal treats. Base yourself in Shaftesbury for a night or three, soak in the atmosphere and sing your heart out at a carol service, followed by a mince pie and mulled wine, naturally. As a bonus, there is free car parking in Shaftesbury on Saturdays in December! NOV 30: Gillingham Christmas Parade and Lights Switch-on, 5pm. A Christmas Market will be held, with gift and food/drink stalls, rides and music before the procession starts from the Town Hall to Town Meadow at 6pm. The Mayor will switch on the lights and there will be carols with the Gillingham Community Choir and Gillingham Imperial Silver Band at the tree. 3: Shaftesbury Christmas Spectacular and the turning on of the Christmas Lights. 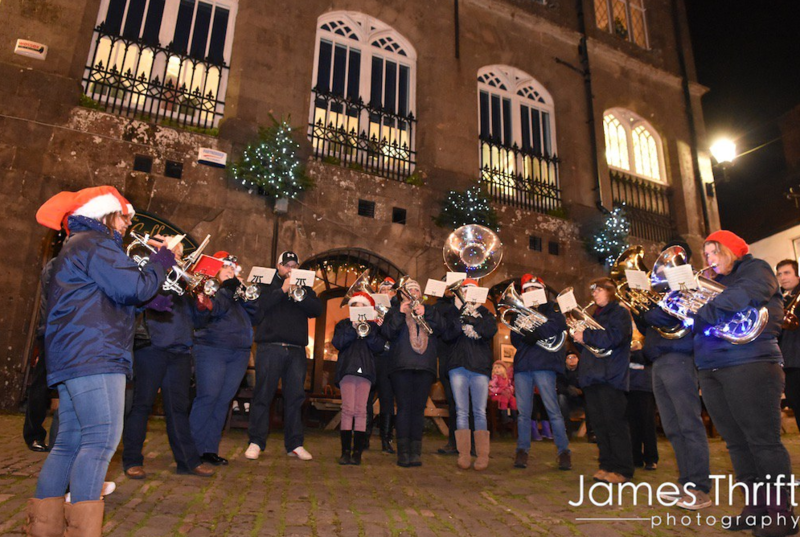 The evening starts at 6pm: there will be carol singing with Shaftesbury Town Band and a countdown to the lights. Father Christmas will be in the grotto in the Town Hall with free presents for every child street. An added attraction this year is a pantomime twist – a giant beanstalk on the Town Hall made up of leaves designed by schoolchildren. There will also be late night shopping until 8.30pm. 7: The Shaftesbury Christmas Art Fair, Town Hall 10am-4pm. At the monthly fair in November, some 345 visitors popped in. Come buy an original piece of art as a brilliant Christmas present. 8-9: Craft Fair, The Mitre Inn. Inaugural small stall event on the pub decking – jewellery, Christmas prints, cards, tea cosies, glass painting, baubles, cushions, felt art, sweets cart, lamps. Plus Sants on Saturday at 2pm, hog roast, mulled wine and cider, 11am-5pm. 16: Shaftesbury Christmas Street Fair, 100 craft and food/drink stalls – the biggest Christmas street market in Dorset. 10am-4pm. The Churches Together group will be performing their annual nativity play at 1pm. 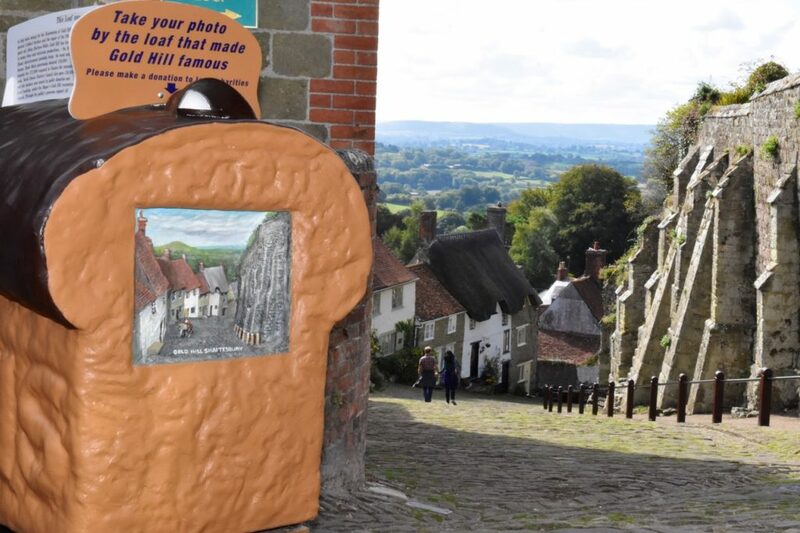 THE Hovis loaf that has sat atop Gold Hill for 38 years has finally been returned with a fresh look, ready to butter up tourists looking for a photo opportunity on their visit to Shaftesbury’s iconic attraction. 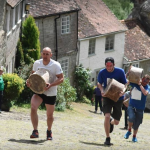 The loaf was created in 1980, seven years after director Ridley Scott put Gold Hill on the map with his Hovis advert – and two years after The Two Ronnies version. The advert has been voted Britain’s favourite television advert, and has resulted in tens of thousands of visitors to the hilltop town. It was built as a donations box and information point, the idea being that money collected be used for the ongoing upkeep of Gold Hill. It stood there until 15 months ago, with few realising it still welcomed donations. “There was hardly any money put in,” said Anne Giberson, chairman of Shaftesbury Tourism and owner of The Chalet B&B. The Loaf was taken away for restoration but its sudden disappearance concerned many: “Hardly a week went by without somebody asking after the loaf,” said Elaine Barrett, chair of Gold Hill Museum. 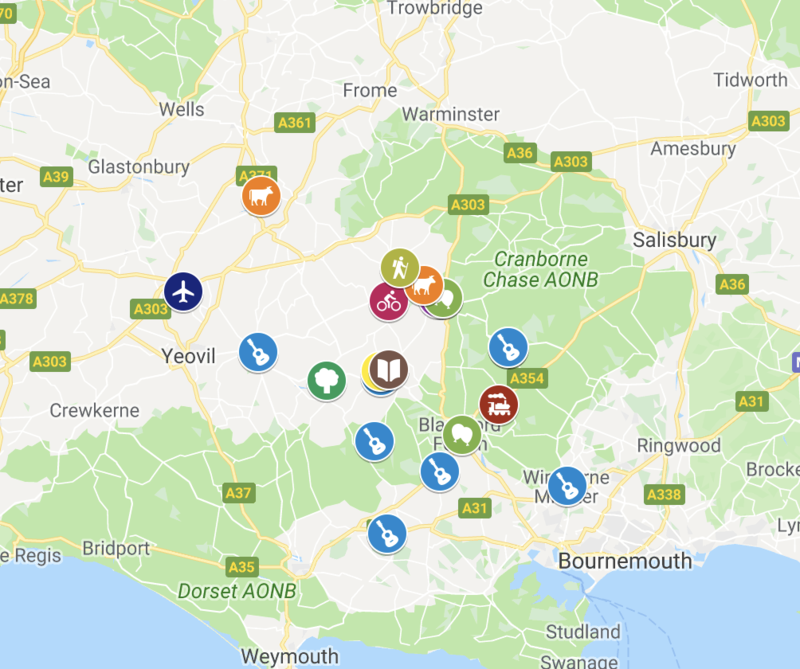 The Cranborne Chase Area of Outstanding Natural Beauty (AoNB) has been awarded nearly £140,000 to develop a phone and tablet app expected to greatly increase the number of visitors to the Shaftesbury area. The grant is from the North Dorset Local Action Group (NDLAG), which allocates funding to rural businesses and community groups to help them create jobs, grow and benefit the wider rural economy. I’m on the NDLAG, and think this the most exciting of all the tourism-related projects we’ve supported. 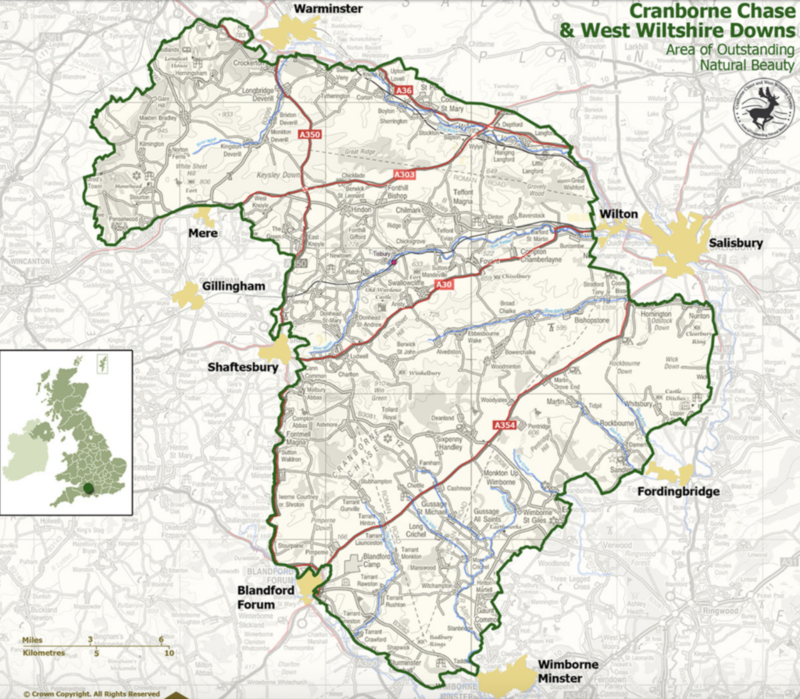 I spoke to Roger Goulding of the Cranborne Chase AoNB, to learn more about the thinking. NORTH DORSET is made for running. It’s rural and lumpy, which means quiet country lanes, lots of off-road running, glorious views and challenging terrain. 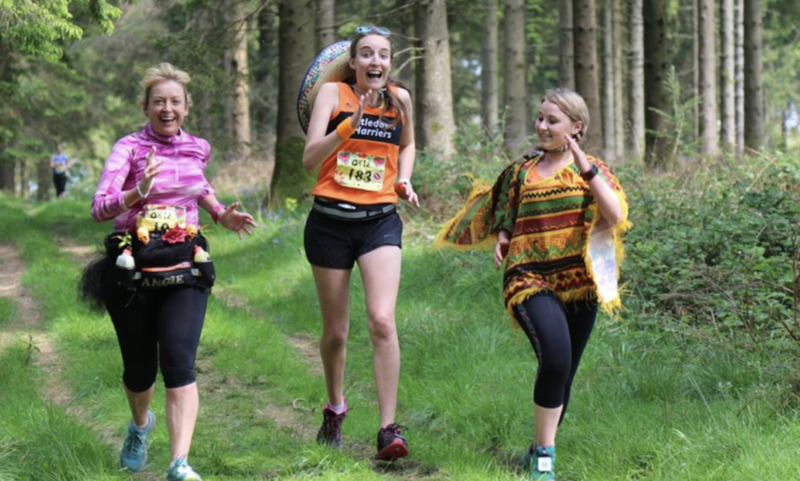 Shaftesbury is the gateway to three marathons: Cranborne Chase, the Rushmoor Estate (including Larmer Tree Gardens) and the North Dorset marathon, which wends through 10 villages and outstanding countryside. Dorset’s White Star Running operates several more events besides, from 24-hour events to running with kids and dogs. It’s serious, and fun. There are also now two parkruns within 10 miles of the town, the latest on an airfield where four Tiger Moths and a Russian-owned acrobatic team are based – bring your binoculars when heading out for a 5km Saturday morning run. There is so much choice to run fast or potter slowly. And where there be hills and running, there be lots of magnificent established walking trails. The Wessex Ridgeway and North Dorset Trailway (a former rail line) are close by, while the 50-mile White Hart Link is a trail linking the five North Dorset towns, including Shaftesbury. It’s now taking shape and being trailmarked. Some sections are complete, and the route will be complete in 2021. 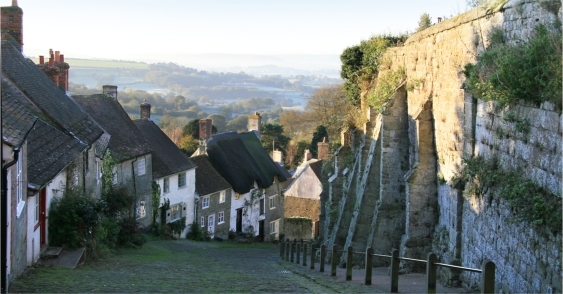 Shaftesbury itself has a superb tree walk, and nearby Gillingham – on the main rail line from London to Exeter – has established walks around the old hunting forest of King John. Find out more below and bring your walking and running shoes to Shaftesbury! We look forward to welcoming you. 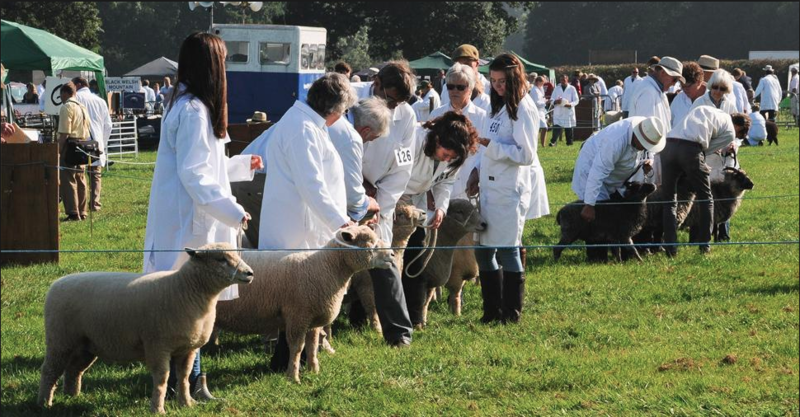 THE annual migration of 25,000 people to the Motcombe Turnpike Showground takes place on Wednesday August 15 this year, such is the pulling power of North Dorset’s premier agricultural show. The Gillingham and Shaftesbury Agricultural Show is the one that the farming community takes the day off for, with highly competitive sections for cattle, sheep, horses, dogs, poultry, rabbits, homecrafts, handicrafts, art and a huge range of classes for younger exhibitors, all need to be entered in advance. This year, there’s a new Education Area – Farm, Food & Fun, which aims to show how milk, meat and grain are produced on local farms and how it eventually reaches the table, with lots of hands-on activities.